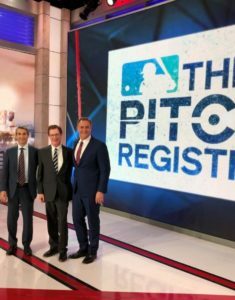 Geoff Thompson accompanied Chris Ahmad, MD, Chief of Sports Medicine and an Orthopedic Surgeon at NewYork-Presbyterian and Columbia University Medical Center to the set of MLB Now show. 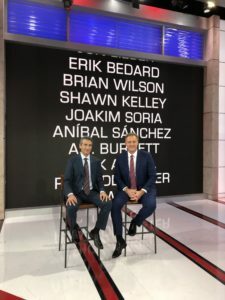 where Al Leiter interviewed Dr. Ahmad in depth on the subject of Tommy John surgery and the complications that both high school pitchers, as well as MLB players face. The show is scheduled to air on the MLB Network on MLB TONIGHT on Thursday, Dec. 20, and on HOT SAUCE on Friday, Dec. 21st at 9 a.m. Dr. Ahmad is an expert having written books and 200+ articles and done extensive research on the subject. Dr. Ahmad, who is the Head Team Physician for the New York Yankees, the New York City Football Club and the Rockland Boulders, sees patients in New York City, and also at ColumbiaDoctors in Tarrytown and at the new sports performance center coming to Eastchester in 2019. Elizabeth Bracken-Thompson remembers the day when as a 19-year-old “shy” girl, she was confronted with a challenge. An envelope arrived at her home in Eastchester, with an invitation to attend a “familiarization” meeting for the Miss Westchester pageant. It was 1971, and the woman who owned thewallpaper store where Bracken-Thompson worked part-time had submitted her name to be invited. Not only was Bracken-Thompson crowned Miss Westchester and then Miss Rockland (after moving to Suffern), she went on to compete in the Miss America pageant in 1974 as Miss New Jersey, a title she won as a visiting student at Ramapo State College in Mahwah. The experience taught her a lesson that has served her well: with risks come rewards. She also learned that your first job doesn’t define you. Despite a college degree, she began her career as a receptionist. She worked her way up to senior marketing roles at Gannett and now at Thompson & Bender, where she is a partner. For almost 30 years, she’s had her fingerprints in the promotion of all manner of entities looking to make inroads in the county, from real estate conglomerates to hospitals to colleges to nonprofits. 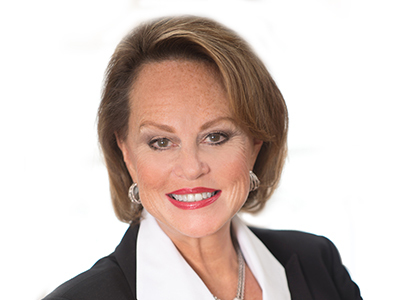 Pulled into the then-fledgling two-year-old public relations firm of Thompson & Bender in 1990, Bracken-Thompson brought her expertise in advertising and marketing, doubling the number of clients in one year. The company today does over $5 million in business and boasts a client list that includes the New York-Presbyterian Hospital, the county’s Office of Economic Development, City of Yonkers and Ritz-Carlton in White Plains. Growing up in Eastchester, Bracken-Thompson said she always thought she would work as a teacher, following in her mother’s footsteps. Entering the world of pageants while enrolled as a student at the College of New Rochelle revealed a side of herself she said she didn’t know existed. From 1974-75, as the reigning Miss New Jersey, Bracken-Thompson made appearances throughout the state at ribbon-cuttings and conferences. The title also came with money to pay off her student loans. With her college degree in hand, Bracken-Thompson, married and started her search for a teaching job in 1975, but an oversupply of teachers meant few open positions. Instead, she went to secretarial school to learn to type. Her first job was as a receptionist at the headquarters of the Gannett Suburban Newspapers in White Plains, then a chain of 10 newspapers in the county along with the Rockland Journal-News. She wasn’t long for the job. Within three months Bracken-Thompson was promoted to the marketing department as a copywriter for promotions. From that initial receptionist position, Bracken-Thompson worked her way up over the next 15 years to the vice president of marketing and community relations, reporting directly to the publisher. Bracken-Thompson said she was totally committed to the job. Along the way she got divorced. By the late ’80s, two of her Journal News colleagues, Geoff Thompson (whom she married in1998 after a divorce) and Dean Bender, decided to establish their own public relations firm, Thompson & Bender, working with local businesses. As business picked up, more clients started inquiring about other services such as marketing and advertising. When they needed advice, Bender and Thompson would inevitably end up calling the expert they knew. “I started getting more and more calls with them asking ‘how do I do this’ or ‘how I do that’,” said Bracken-Thompson. Soon she decided to take another risk and join them. Within a year, the Thompson & Bender client roster doubled, from six to 12. Joe Simone, the CEO of Simone Development, a developer who has built more than a million square feet in commercial real estate in New York, said his firm’s 15-year partnership with Thompson & Bender was in large part due to the vision and energy Bracken-Thompson brought to every meeting. Many of her clients have stayed on for the long haul, including New York-Presbyterian, a partnership that has lasted 25 years. Other than the three partners, the firm has 18 employees. All happen to be women. “Because of our sensitivity and emotional make-up, we (women) have a higher perception of what’s going on with a client,” said Bracken-Thompson. Numerous studies have shown that women outperform men when it comes to emotional intelligence, which includes empathy, self-awareness and social skill. Indeed, companies are starting to recognize its advantages when it comes to positions like sales, teams, and leadership. Over the years, she worked with Lou Cappelli, one of the biggest developers in the area, on multiple downtown revitalization projects including New Roc City in New Rochelle and City Center and Renaissance Square in White Plains. Marsha Gordon, president and CEO of the Business Council of Westchester, said Bracken-Thompson’s strength lies in her understanding of the Westchester business community. “She’s able to take a strategic view of where they fit in the fabric of the economy of Westchester,” said Gordon. Along the way, Bracken-Thompson has also made it a mission to give back by mentoring and serving on local not-for-profit boards. Among the many awards she’s won over the years is the “Woman of Leadership and Excellence Award” in 2012 from Girl Scouts Heart of the Hudson. Excited to share this great article from the new Q1 issue of 914INC Magazine on reinventing the Platinum Mile. We originally developed the idea, and it certainly turned out to be very relevant and topical–years of experience have helped us to develop insights others may not have, and we pride ourselves on spotting trends early! Thanks to publisher Ralph Martinelli, editor, Amy Partridge and the reporter, Dave Donelson for this well-researched and well done piece. A perfect convergence of regulatory, social, and economic forces pushes the county’s key commercial corridor to the forefront again. It may only be early spring, but a bumper crop of steel and concrete is sprouting along Westchester’s Platinum Mile. What’s growing aren’t rows of glass-box office buildings, but rather a remarkable variety of structures previously foreign to the I-287 corridor. The county’s long-dormant commercial real estate center is coming back to life, transformed by forward-thinking municipalities, developers, landlords, and tenants. Before our very eyes on the Platinum Mile, stuffy corporate offices transform into buzzing X-ray labs. Miles of desktops become scores of kitchens for empty nesters. Fresh fruits and vegetables replace file folders while elliptical trainers and swimming pools take the place of gray office cubicles and computer terminals. Sure, there are still plenty of conference rooms and corner offices, but now they share space with daycare centers, linear accelerators, and college classrooms. The Platinum Mile is coming back, very new and improved. “The Platinum Mile has long been a significant corridor of commerce and an emblem of the evolution of Westchester over the years,” says Marsha Gordon, president and CEO of The Business Council of Westchester. “It’s wonderful to see its rejuvenation.” Considering the normal glacial pace of property development in the county, the speed of this rejuvenation approaches revolutionary velocity. Developer Lowell Schulman, who passed away last year, pretty much created the Platinum Mile out of whole cloth. After many years running the family women’s store in White Plains and investing in small properties in the city, the builder-developer began acquiring land along the newly completed I-287 corridor and persuaded the town of Harrison and city of White Plains to change zoning to allow office buildings. In 1965, he started acquiring what eventually amounted to 421 acres of undeveloped land on both sides of the highway, purchased with little or no money down and financed at low interest rates. To finance construction, he sold off parcels until he finally ended up with about 120 acres that held 26 office buildings with some 2 million square feet of space on several campuses. Other developers, like the Robert Martin Company, followed Schulman’s lead, and the Platinum Mile exploded. When the real estate market crashed in the 1980s, Schulman refinanced his properties through the General Motors pension fund but was unable to hold on to them in that era of interest rates approaching 20% and declining rental income that undermined commercial property values. By the mid-1990s, his buildings had new owners. It was the first of several setbacks for the Platinum Mile, most of them related to the larger economy. There were a couple of years when the Platinum Mile was ʻDesperation Row,’ but “we’ve turned that corner. It’s really something to see,” says Frank McCullough, a leading real estate attorney (and Rye native) who has represented numerous developers, buyers, and sellers of properties on the Platinum Mile since the days of Lowell Schulman. Three significant trends that began little more than a decade ago are accelerating the recent transformation. Perhaps the most revolutionary occurrence since the Platinum Mile was zoned for office parks in the 1960s was the rezoning of a significant portion of the Harrison side to allow uses other than office facilities. Not long after Harrison mayor Ron Belmont took office in 2012, a master plan for the town that had languished for 10 years was finally approved and things started happening. Harrison had to do something. From 1972 to 1988, about 4.5 million square feet of commercial office space had been built on 256 acres of land in Purchase, a hamlet of the town. The heavily leased properties paid some 60% of the entire town’s tax bill. By the time the master plan was approved, that had shrunk to 18%. Major corporations left the area, and those that stayed behind didn’t need as much office space, as technology replaced both miles of file cabinets and the workers to shuffle papers among them. Properties like 400 Westchester Avenue in West Harrison sat empty for 10 years, from 1998, when Verizon left, to 2008, when Fordham University moved in. Obsolete office buildings were moth-balled by cash-strapped owners, empty asphalt parking lots sprouted weeds, and by 2010, the vacancy rate on the Platinum Mile was 30% — nearly double that of the rest of the county. That changed when Harrison’s mindset changed. Life Time Athletic was the first to take advantage of Harrison’s new attitude. The Minnesota-based health-club operator paid $12 million for 22 acres with three buildings that Gannett had downsized out of over the years. Harrison issued a special-use permit, and Life Time tore down The Journal News building and opened a 209,000 sq. ft. facility that couldn’t be more different from the offices and printing plant it replaced. Harrison town planning consultant Patrick Cleary says the town’s newly minted communication policy worked well with Life Time. “We were able to tell them what they needed to study, so we could go through the environmental review process and site-plan review and change the zoning rules,” he explains. “We were able to do that in under a year from application to approval.” The entire process from the first application to the ribbon cutting took 32 months, a blink of an eye by Westchester standards. That progress led to two even more revolutionary Platinum Mile land uses. Toll Brothers broke ground last August on Carraway, a 421-unit luxury-housing development on 10 acres at 103-105 Corporate Park Drive in West Harrison. The two outmoded and unoccupied three-story office buildings were left empty by previous site owner Normandy Partners when they acquired them, along with about a dozen other buildings (known collectively as “The Exchange”) from RXR Realty, in 2009. Toll Brothers razed the decrepit buildings to make room for a new five-story building that will have ground-floor retail-and-restaurant space and rental apartments ranging from studios to two-bedrooms. Other amenities include a club room, kids’ playroom, pet spa, fitness center, bike lounge, craft room, coworking lounge, and pool, as well as parking. Forty-two of the units will be earmarked as affordable housing. Half of them will be for people earning 60% of AMI (area median income) and half for people earning 80% of AMI. What’s on the Platinum Mile now? Recent changes have brought new tenants — and new buildings — to prestigious Platinum Mile addresses, all along Westchester Avenue and its offshoots. Retail will be even closer soon. Rochester-based Wegmans Food Markets received approvals to build a 125,000 sq. ft. store and an 8,000 sq. ft. building with other retail space on 20 acres at 106-110 Corporate Park Drive, next to the Toll Brothers development. Wegmans will replace three office buildings owned by Normandy Partners. Wegmans operates more than 90 stores in New York, New Jersey, Pennsylvania, Massachusetts, Maryland, and Virginia, but this location represents the family-owned company’s first foray into the Westchester market. In 1983, General Foods moved its headquarter’s staff to the other end of the Platinum Mile, 800 Westchester Avenue in Rye Brook, to an aluminum-clad building variously described as an Aztec temple or the Starship Enterprise. Two years later, however, the entire company was acquired by Philip Morris (later Altria), which merged it into Kraft Foods in 1995 and ultimately emptied both buildings as the last employees were moved to other locations in a series of moves through 2004. The original General Foods site in White Plains was purchased in 1998 for $25 million by Cohen Brothers Realty Corporation, which invested another $90 million to update the four buildings. The property struggled a bit during the 2008 economic downturn but recovered nicely. It’s known today for colorful towers designed by architect Philip Johnson to differentiate each building; it also boasts a sprawling 1,700-car parking lot. Tenants include Amalgamated Life, Alicare, and the American Booksellers Association. The company’s second building, in Rye Brook, went on the market to little acclaim and even less interest among real estate investors after Altria moved out. Developer Robert Weisz, who started buying buildings in New Jersey in 1978, took a $40 million plunge on it in 2004. “This is probably the most recognizable building in Westchester County, but nobody in the real estate industry was interested in buying it,” says Weisz, whose commercial real estate development firm, RPW Group, is now headquartered in the building. Weisz took that same concept to 1133 Westchester Avenue in White Plains, where he transformed what was once an IBM campus into a multi-tenant mecca housing one of the county’s largest law firms, Wilson Elser, the Hospital for Special Surgery, and Gannett’s The Journal News among others. The third trend fueling the Platinum Mile’s renaissance is the sea change occurring in the healthcare industry in the last few years. The history of Westmed Medical Group effectively intertwines with the Platinum Mile. Founded with 15 physicians in 1996, Westmed has corporate offices at 2700 Westchester Avenue and opened its first urgent-care center in 2005, on the western end of the Platinum Mile, at 210 Westchester Avenue. Other health-industry tenants found the then-low rents and available space in the area attractive, and by the end of the intervening decade, some headline writers dubbed the area the Medical Mile. 3030 Westchester Avenue in Purchase is fully leased to Westmed Medical Group. Westchester Avenue in West Harrison in late 2014. The site houses not only a staff of 260 but an array of the latest technology, including CT simulators, linear accelerators, PET/CT, MRI, and interventional radiology. Across I-287 in White Plains, the Hospital for Special Surgery last year opened a 50,000 sq. ft. outpatient facility in Weisz’s building at 1133 Westchester Avenue. The impetus was the same as Memorial Sloan Kettering’s: to bring treatment closer to patients’ homes. Another office park now completely dedicated to medical use is the Westchester Medical Campus at 220-230 and 244 Westchester Avenue in White Plains. Owned by Healthcare Trust of America, the older buildings are undergoing renovation and may be joined by a fifth building as part of the owner’s strategy to invest in outpatient-care facilities. Work begins soon on an internal road to connect the two sites. needs, and growing demand from the healthcare industry — propelled substantial growth. The I-287 East corridor, which consists largely of properties on the Platinum Mile, has one of the highest occupancy rates of any of the Westchester submarkets, according to commercial real estate firm Jones Lang LaSalle. The area, with 6.6 million square feet of commercial space, has only 15% of it available for new tenants — down tremendously from the 30% vacancy rate just a few years earlier. (Overall, Westchester’s office market has a 24% vacancy rate.) Asking rents are up to slightly more than $28 per square foot, also the highest in the county. Wegmans will open its first Westchester location on the Platinum Mile in West Harrison. Harrison mayor Ron Belmont (below, second from right) paved the way for Life Time Athletic to open on Corporate Park Drive in West Harrison. Sites to keep an eye on include the three remaining buildings on Corporate Park Drive. In 2012, Ossining biomed firm HistoGenetics purchased 100, 102, and 104 Corporate Park Drive in two transactions totaling $19 million. The new owner announced plans to develop a research facility there but hasn’t acted yet. With the Toll Brothers residential community and Wegmans retail development going in across the street, it remains to be seen what HistoGenetics will actually do with the properties. At least one of three office buildings on Westchester Park Drive near Life Time are in a state of flux, too. Heritage Realty Services LLC purchased 2, 3, and 4 Westchester Park Drive in 2005 and extensively refurbished them before running into some financial difficulties. The company restructured 2 and 4 but lost ownership of 3 Westchester Park Drive in 2017. That 160,000 sq. ft. property was sold through a unique online auction that attracted more than 100 bidders in December 2017, and its ultimate fate was not final at press time. Dave Donelson has lived in West Harrison long enough to see the Platinum Mile flourish and flounder and flower again. BRONXVILLE, NY (October 11, 2017) – NewYork-Presbyterian Lawrence Hospital and Gilda’s Club Westchester are partnering on a new program that will bring Gilda’s Club Westchester’s widely acclaimed cancer support services to the Bronxville-based hospital. The partnership will allow patients at NYP Lawrence and the southern Westchester community to participate in the Gilda’s Club Westchester programs, regardless of where they receive their cancer treatments. The programs are free. Previously, patients at the Hospital had to travel to Gilda’s Club Westchester in White Plains to participate in the cancer support groups and other educational and supportive oncology services offered by Gilda’s Club Westchester. Starting in September and October at NYP Lawrence, licensed clinical social workers from Gilda’s Club Westchester began leading Post-Treatment and Living with Cancer support groups, as well as conducting a Coping Skills Workshop for anyone with Cancer. Gilda’s Club Westchester’s mission is to create welcoming communities of emotional and social support for those of all ages who are living with cancer along with their families and friends, free of charge. Its innovative programs are an essential complement to medical care, providing compassionate support through individual and family counseling, support groups, lectures, workshops and social activities. In northern Westchester, Gilda’s Club Westchester has a partnership with NewYork-Presbyterian Hudson Valley Hospital in Cortlandt Manor offering Living with Cancer support groups for men and women newly diagnosed with cancer. These are held on the first and third Thursday of each month from 6 pm to 7:30 pm at the Hospital’s Cheryl R. Lindenbaum Comprehensive Cancer Center, 1980 Crompond Road in Cortlandt Manor. This ongoing support group, led by licensed clinical social workers from Gilda’s Club Westchester is for adults who have been recently diagnosed with cancer or are in active treatment. This ongoing support group offers cancer survivors a chance to learn about the late effects of cancer treatment. The program provides the opportunity to share and learn from other participants regardless of their specific cancer diagnosis or course of treatment. The meetings will be led by licensed clinical social workers from Gilda’s Club Westchester. Additional workshops will begin in the spring. All programs will be held in the Cancer Center Conference Room at NewYork-Presbyterian Lawrence Hospital, 55 Palmer Road, Bronxville. On-site parking is available. Light refreshments will be served. To RSVP and for more information, please contact Gilda’s Club Westchester at 914-644-8844 or info@gildasclubwestchester.org. Thompson & Bender Receives Westchester Magazine’s 914Inc. Small Business Award! 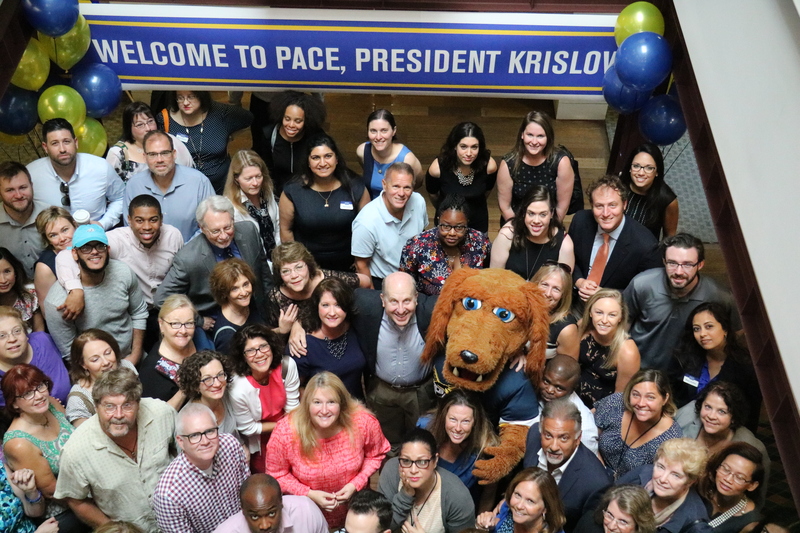 PLEASANTVILLE, NY (August 4, 2017) – Pace University’s Pleasantville campus gave its new President Marvin Krislov an enthusiastic welcome yesterday when he arrived at the University’s Pleasantville campus. 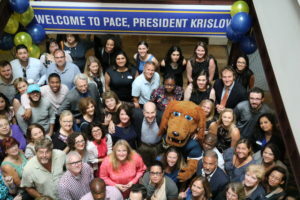 Krislov, formerly president of Oberlin College, officially began his duties as Pace University’s eighth president on August 1. Krislov, 56, succeeds Stephen J. Friedman. 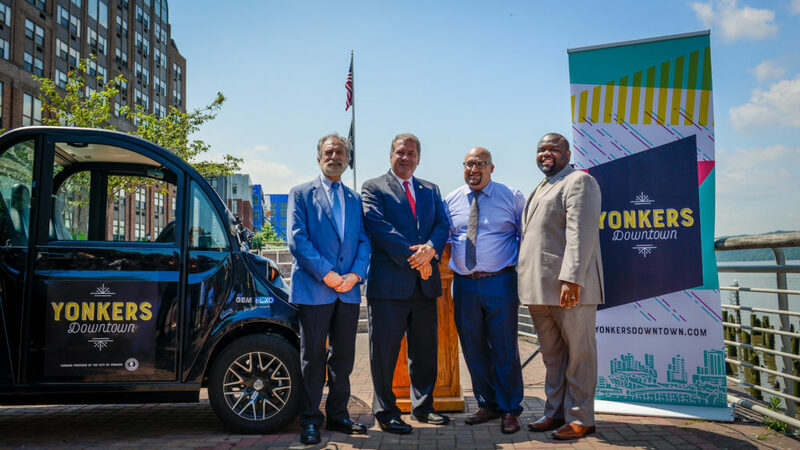 Yonkers, NY (July 18, 2017) – Members of Yonkers Downtown BID (YBID) joined Mayor Spano and city officials to provide updates on the tremendous strides made with regards to improvements to downtown, as well as unveil its new branding and website. The city has invested millions of dollars to transform the waterfront into a beautiful place to both work and live. As a prime example of those efforts, YBID and the City recently acquired new maintenance vehicles to provide more frequent clean up to the downtown. The new branding was also revealed today along with the website YonkersDowntown.com, which has an interface that allows businesses and individuals to more easily engage with members of the community. The website has information on living and working in the city as well as important news taking place. Both the new branding (logo) and website were created by Thompson & Bender. Yonkers Downtown BID is committed to the economic growth of the district. With free cultural events happening this summer and beyond, including the signature event Riverfest, the BID is poised for continuous growth. For more information on happenings this summer and fall, visit the new website at YonkersDowntown.com, like us on Facebook and follow us on Twitter. A rendering of the location of the North 60 project. John Fareri’s 7-year dream of building a $1.2 billion life sciences complex in Valhalla moved closer to reality on Monday when the Westchester Board of Legislators approved a 99-year lease of county property. County Executive Robert P. Astorino and legislators held a joint press conference several hours before Monday night’s vote celebrating their bipartisan support for the North 60 biotechnology research center. The lease was approved unanimously, 17-0. Given the size and scope of the project – Astorino said it will position Westchester as a global biotech center – county officials spent several years negotiating and vetting the deal. Fareri Associates LP of Greenwich must now secure land-use approvals from the town of Mount Pleasant. The 60-acre site is along the Sprain Brook Parkway on the Grasslands Reservation, a a 512-acre tract that the county bought in 1915. 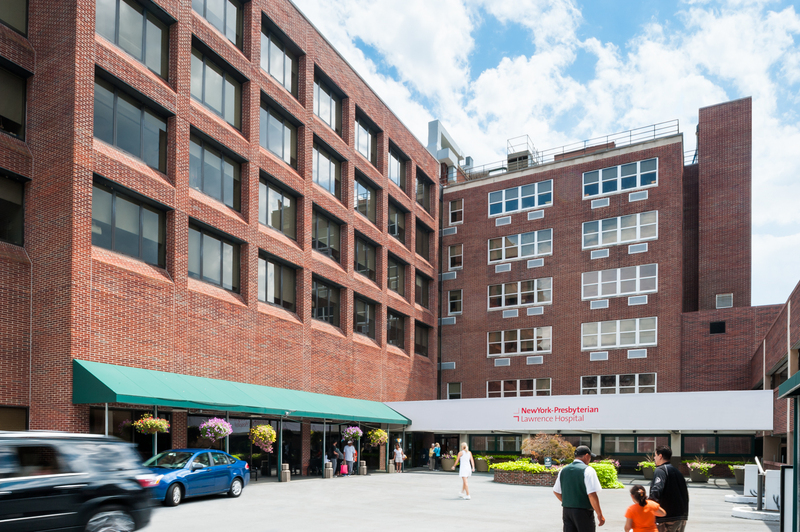 Grasslands is home to Westchester Medical Center, New York Medical College and Maria Fareri Children’s Hospital. Regeneron Pharmaceuticals is nearby. 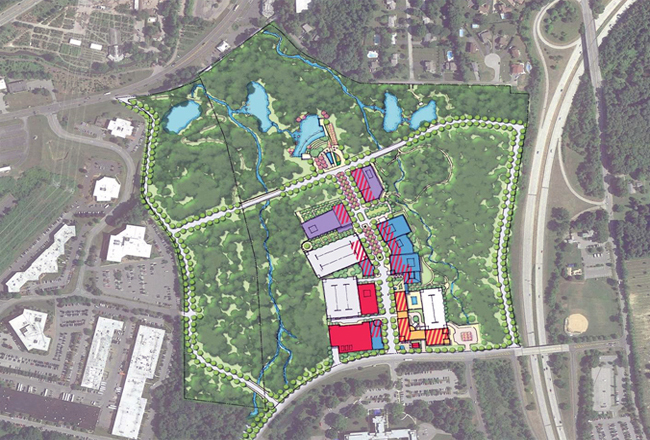 Fareri Associates owns 20 acres next to the North 60 property and won the rights to develop the site. Fareri wants to build 3 million square feet of space for medical offices, research, retail, restaurants, a hotel and a children’s museum. The complex will be built in three phases over 25 years, including a West Research Village, Central Village and East Research Village. It will be designed around a Main Street theme, with shops and restaurants, plazas and gardens, bikeways and pedestrian paths, and a shuttle service to nearby Metro-North train stations. But the villages will not include residences, in a concession to government officials and residents who do not want to strain the school district. The county approval triggered the initial lease payments, beginning at $125,000 a year. As buildings are occupied, Fareri will give the county a portion of the project’s rental income. Fareri has estimated that North 60 will create 4,000 construction jobs and 8,000 permanent jobs, pay $7 million in annual rents to the county and generate $9 million a year in local real estate taxes. The next big step is an environmental review that could take two years or more to finish, with Mount Pleasant as the lead agency. By the time land use permits are issued, it could be three years before construction begins. Neil DeLuca of Fareri Associates said government officials have shown unusual support for the project. “Everyone said, ‘If this is real, we’re for it,’” he said. WHITE PLAINS, NY (February 2017) – In its first entry into the Downtown White Plains market, Ginsburg Development Companies (GDC), the area’s leading developer of resort-style rentals, has announced the purchase of a 124-unit luxury rental building at 25 Martine Avenue just a short walk to the Metro-North train station. 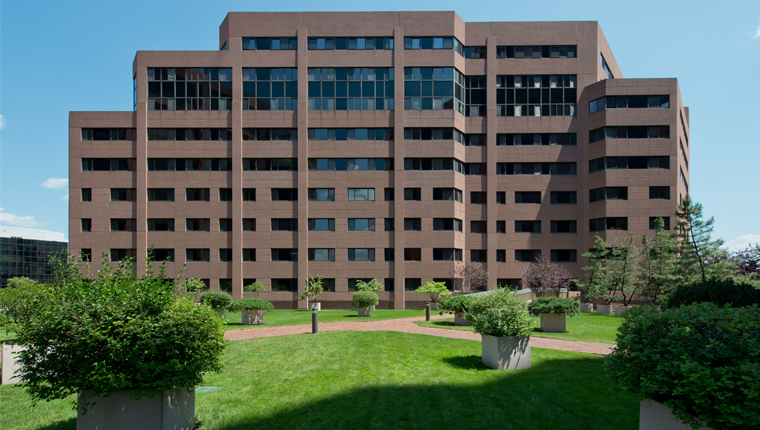 The 12-story building, currently known as Halstead White Plains, was purchased by GDC from DSF Group for $35.25 million. GDC plans to make major renovations to the building and rebrand it with a new name. “We are very pleased to be entering the White Plains rental market which has been experiencing rapid growth in recent years. With its abundance of fine dining and upscale shopping plus quick access to Manhattan via Metro-North, downtown White Plains has become popular with millennials as well as empty-nesters. These are the two demographic groups that we have been successfully marketing to at our other luxury rental developments in Westchester,” said GDC Principal and Founder Martin Ginsburg. “The cost of living in New York City has become prohibitive which makes White Plains with its transit-oriented developments more attractive than ever before. We are very bullish on Downtown White Plains,” he added. GDC is currently completing River Tides at Greystone, a transit-oriented luxury rental in Yonkers. Located in a quiet residential neighborhood on Warburton Avenue near the Hastings-on-Hudson city line, River Tides at Greystone features a mix of studio, 1-bedroom, 2-bedroom and 3-bedroom units, many with spectacular river views. The apartments feature stainless steel appliances, Euro-style cabinetry, stone countertops, bay windows and terraces. Monthly rents range from $1,795 for a studio to mre than $5,000 for a corner penthouse apartment. Occupancy is scheduled to begin on June 1st. Also in Yonkers, GDC is constructing 1177@Greystone, a new 55-unit luxury rental apartment building located one block north of River Tides in the Greystone neighborhood of Yonkers. The project is scheduled to open this fall. Last year, GDC completed two major rental projects in Westchester: Harbor Square in Ossining and The Lofts on Saw Mill River in Hastings-on-Hudson. Both offer luxury rentals with first-class amenities which are the hallmark of GDC’s resort-style residences. GDC will soon begin transforming a former convent property in Peekskill overlooking the Hudson River into a resort-style tourist destination that would feature a spa, inn and restaurant as well as 178 luxury rentals apartments and 20 townhomes. Site work on the project is under way.